Choose your tires and wheels with confidence! PMCtire is proud to offer a full guarantee on the compatibility of the products you buy with your vehicle. Our professional team always checks that the ordered tires and wheels meet the requirements of your vehicle before shipping them to you. We work hard on our databases! 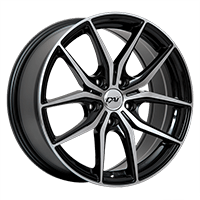 Throughout the years, the PMCtire team updates our vehicle databases. 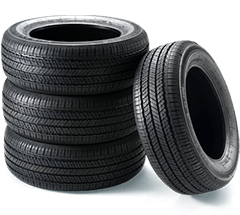 First, the vehicle’s manufacturer information is verified and the technical specifications of the tires and wheels are associated with the vehicles. Our mistake... we take back the products! Rare are the mistakes, but it can happen that an imperfection creeps into our databases or in the manufacturer's product descriptions. In this case we will take back the products for free, we will pay return transportation to the warehouse and transportation to ship the right product if available or replacement product if it does not exist for your vehicle. When choosing the products and completing the order, make sure you have selected or indicated the right vehicle brand, model, trim level/option group that match your vehicle. Note that if you made an error on the information provided we will not be responsible for its data entry errors. You must try the wheels on the vehicle before mounting the tires on them! If you buy wheels only, you must do a test-fit with a wheel on the vehicle before mounting your tires you new wheels. Indications are affixed to the wheel boxes for this purpose (round red sticker). If the tires are mounted on the wheels, the wheels are not returnable to the manufacturers. So you are responsible for selling them yourself, we will not be able to take them back. Keep the original boxes of the delivered wheels because they are necessary for the return in the case where wheels would not fit on the vehicle. We will take back with pleasure the wheels that have not had tires mounted on them and are in their original boxes. In case there would be an error on our part in processing your order, with our database or the manufacturer’s, we will take back the tires or tires and wheels/mags combos in as-new condition that would not be compatible with the vehicle that was specified in the order. In this case we will take back the products for free, we will pay return transportation to the PMCtire warehouse and transportation to ship the right product if available or replacement product if it does not exist for your vehicle. Otherwise a full refund will be issued. Need to return a product? Visit our Cancellation & Return section.